Mazda sold 7,471 vehicles in April 2016, an increase of 2.2 percent compared to the same month in 2015. Since the beginning of the year, 20,842 Mazda vehicles have been sold, a figure roughly similar to 2015 sales. The 2016 Mazda3 was the most popular vehicle in the Mazda lineup last month with 3,275 sales while the 2016 Mazda CX-5 had its best month ever with 2,419 sales, a gain of 8.4 percent compared to April 2015. 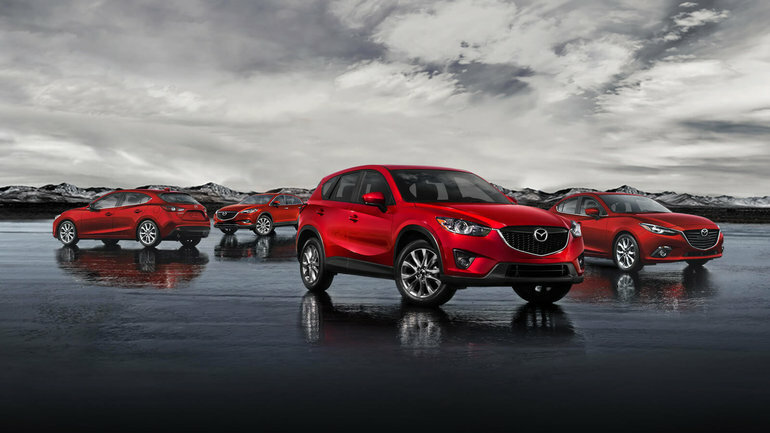 The Mazda CX-5 set a new sales record for the 11th consecutive month now. The new 2016 Mazda CX-3 sub-compact SUV was the third most popular model in the Mazda range with 1,054 sales in April 2016, a good month for the Canadian Utility Vehicle of the Year according to AJAC. The Mazda MX-5 saw its sales jump 98.9 percent in April, possibly because of the return of warmer weather. This is the best April for the MX-5 since 2010. Proving very popular, SKYACTIV technology was found on about 96 percent of Mazda vehicles sold in April. No doubt, Mazda is on a roll. Come find out why by test-driving a new Mazda vehicle today at City Mazda!